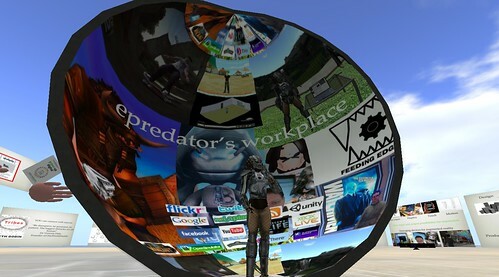 An I thought that I am going to need a bigger sphere in SL to show where I work. In the list above is the new OnVerse (I have registered, though not been in yet as the Mac client is on the way). Hence business is about games? This does not mean that business is about any highly structured rules based board game like monopoly, nor does it mean that it is about a counterstrike mission to capture a flag, though all of these do apply in some context to business. Instead it could be said that business is about the politics of people knowing one another a little better, for some that is to get the best form one another, for others it is to get the drop on someone and exploit a weakness. In my move from intrapreneur to entrepreneur I am of course trying to understand which game it is that we are all playing. My observation is that it really is not any different either in or outside a large organization from the types of games that you play in order to get things done. Interestingly a recent piece from Gamasutra at casual connect brought out some themes from a piece by Playdom VP of Game Design Steve Meretzky and Executive Producer David Rohrl, along with Hit Detection founder N’Gai Croal. This was of course to try and help people understand where social games fit into the landscape of the games industry. I fully agree with the trends identified in the piece, but I though I would apply these not to social games in AAA games industry, but to business as a game. Any organization of people, a.k.a. a corporate, is a really a virtual world. It has boundaries, access controls, terms of service. Metaverses help highlight this as people gather and form other corporate structures such as guilds. Individuals in a business all strive to either blend in or differentiate themselves, all businesses try to do the same in their market place. Aspirations of collecting rank, awards, accolades, prizes, end of year ratings all sit in regular business. In games this applies to feeling some mastery over something other than blind luck. Being part of an system and seeing the impact of small adjustments is really the payoff. Established businesses trade on their brand, their reputation and what is means to engage with them. Companies place one another in a pecking order and treat competitors as the bad guys. This is all part of the story of business. Motivation for a team is important. Boredom and a feeling of worthless activity does not help a business grow. Making work interesting and challenging will always get the best from people. Come join our organization, as an employee or as a customer. We see this with all sorts of incentives to attract people to business. Vouchers, special deals, sales etc. all fit into gift invites. In many businesses it is regarded as “professional” when a salaried employee to invest more time and effort than is contracted to help the business. Asking customers for feedback, even with a potential prize for an answer, is another donation to a company. I do not see any difference between a real and virtual good or product. A business has to provide something people value. If that is software, consulting, digital media or a car all business looks for new horizons for products. This would appear to fit with the old adage it’s not what you know but who you know. In all business relationships you will hear people refer to what others have done and where they fit in that social structure. How many businesses do not have a need for remote and mobile communications? In many ways it was the business user that caused the massive rise in mobile phone usage and the need to be permanently attached to the business. When someone chooses to work on a project, or with a business, or when a deal is made all parties involved are capitlizing on the existing resources of the parties involved. So whether you are the largest corporation on the planet or the smallest would be startup you are in fact a casual game injected a global platform. The reach we all have now to organize and share is the same reach that is making social games so successful. Just as the AAA games industry may have missed or turned its nose up initially to social games, AAA corporate business needs to make sure it does not turn its nose up to small interconnected business, or they may find themselves out flanks and their flags captured. A great video by Mitch Kapor is doing the rounds. Part of the wave of things washing away the cave paintings we have of user input and computer output. It is interesting to see it hooked up to Second Life, which as chair of Linden Lab you would expect to see. However this shows that the technology and software is out there, and is coming to fruition to track our movements and get gesture based, controller free computing up and running. Like Project Natal on the 360 this starts to make things more accessible rather than us chimping on controllers and keyboards all the time. Of course there is the issue of feedback, of muscle memory and patterns formed from understanding the resistance physics gives us, but that does not mean these are not going to be useful technologies. In fact having watched people (and also doing it myself) even when using a regular controller moving the body to somehow impart that extra turn, leaning back to slow down more means that there may well be a place for the hybrid solution. Controllers for precise feedback, knowing the limit of a steering lock in a car etc, but enhanced by body movement. 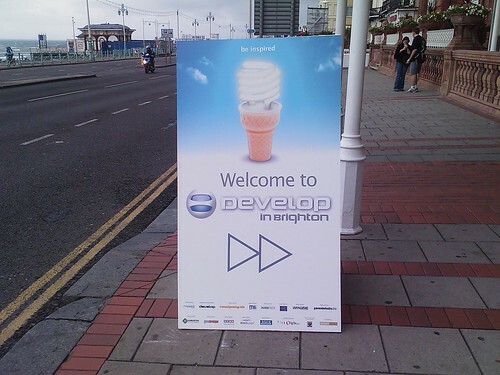 I just spent 2 days in Brighton just along the south coast at the Develop conference. This conference is for the games industry, of which there is a huge talented base of people here in the UK. Brighton is particularly well served too with games and related industry people, though the conference had people from all over the world. The first day I attended was a new set of tracks from the traditional game development case studies and deep dives. It was entitled Evolve. Very much aimed at trying to show the games industry that the world is changing and its not all shrink wrapped products and giant corporations. Hence, that was an ideal place to check out. I am not specifically from the games industry, but I am a gamer and I think bringing games technology and virtual worlds to enterprise and education has been an unusual but growing niche. What I was struck by was that like enterprise the games industry has a lot of people who for various reasons have locked into certain ways of thinking and of doing things. This means that some of the great (though initially small) opportunities are ignored in favour of the more tried and tested and seemingly worthy approaches. The industry is obviously slightly more sparky and used to sudden departures from the norm, but as it is really just regular enterprise and box shifting to the money men it shares much of the inertia of other corporate environments. This explains why the games industry has not dived into and all over corporate and social use of virtual worlds, why elements of social media and user created content are still rare in mainstream games. It will happen, but it will be the independents and mavericks that make it happen but niche innovation. So what did I attend and hear? David Perry is of course a gaming name that resonates with me as a consumer, and it was great to see and hear him enthuse. Much of what he talked about was the changes in the games industry brought about by digital distribution. In particular he was showing http://www.gaikai.com/ the principle being that of Cloud gaming. There is still much speculation on cloud in general (or grid computing as we used to call it) however this is a clear crossover with every other industry. If your local processing cannot deal with something, or you local storage can’t keep something then with good network connections there is no reason to now process things elsewhere. I do not think this is an either or solution, but a blended one. It will of course bring new ways to play and rent video game time, pay per play and per use. Stuart is a gaming journalist and writer and admitted up front there were more that 20 things in his slide deck. For those of us who work and experience social media this was very much a validation of the sort of things we say about how to engage people, how to start small, how to adjust on the fly, how to tap into leveling up and bragging. He pointed out a few interesting trends such as the Spymasters and 140 mafia’s of the world, and that these principles should not be ignored in order to make what they call AAA games titles. A common theme across the day(s) was that there was a massive base of people being able to just deliver and publish content now with facebook, web apps, iphone, unity3d, etc. Most notable and funny was of course the conversation about Rainbow Poo in Pet Society. Pet Society is a casual/social pet based game. It has developed a cult following too. Whilst this seems to many people an odd expression of a way to reward use of a system people value things that happen with their pet. Certain conditions and unknown actions have led to some special excretions from the pets. 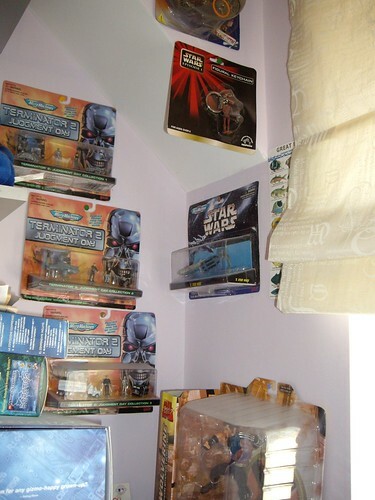 (Given there are more than one physical kids toys on the market this may start to seem less strange). The digital asset that is rainbow poo is very rare, rarity brings value to those that care. After a great lunch with Ren (Renzephyr) Reynolds, Jim (Babbage Linden)Purbrick and Dave (nanodave)Taylor talking all things metaverse. Imperial College’s healthcare project featuring on the Second Life home page amongst other things. This was great as it was a grounding and crossover with the rest of the people, of whom I knew many names and faces but I was more of a consumer than part of the industry (have to rectify that I think!). Jim is part of the advisory council for Develop and had pushed for the Evolve conference to try and extend peoples knowledge. This was a very passionate and evangelizing pitch from a very successful company in the online casual games market. Kristian was very clear in explaining the the business model and the opportunities to engage with people across social networks and related platforms is very different to the shrink wrap AAA title. This part of the industry is usually online, and is able to capture huge amounts of data and statistics on usage. It was this data that Kristian was clearly indicating had to be considered. Knowing what people liked and disliked through data analysis was what the new marketing professionals in the industry had to come to understand. It is knowing what is happening almost live that allows the various games to evolve. They can evolve because of the way they are delivered. Start small but prepare for big seemed to be a message. One that I totally agree with. Elements of free to play, generating dedicated fans and then gaining money from that to sustain the business is important. Playfish of course do Pet Society (See Rainbow Poo above). For me this was a busman’s holiday, it is a case study, as with some of my previous work, of engaging with people and driving things across various platforms. Kristian was also acting as a guardian for the industry, reminding the other companies to not make spam as that will kill the industry. Act with integrity, make people happy not annoyed. You can already see some lazy marketing efforts across social media and casual games. I believe we will manage to bypass those by ignoring them or finding ways to filter things out. This was primarily about dealing with the complexities of going from low end java phones to Iphone and Android and how the there are porting considerations. It was interesting that one game was ported to Android in about 2 weeks by a new hire who was a good programmer and picked up the java source and learned the android platform. Another consideration that Chris covered was the move into a facebook flash game and how you cannot simply port mobile to web. This was an interesting direction change. It used to be people talking about how they could get their games and content onto a mobile. This was a mobile company trying to come back the other way. This was one of my favourite presentations for crossover. Struan was explaining how sports games and sports experiences can be enhanced with technology and games. Why was this so good? Well Struan mentioned Wimbledon and Hawkeye, real life data and how things could be done with it ( in the Q&A I had to come out of stealth delegate mode and say that not only was it highly possible but that was precisely what had happened in 2006). He also covered Augmented Reality potentials. I don’t need to write much more other than I think we were most definitely on the same page and I would recommend listening to him if you are in the games industry. He is right on the money! On David’s site he has posted his ppt, I had already blogged some time ago about his great book Changing the Game: How Video Games Are Transforming the Future of Business: How Video Games Are Transforming the Business World and we had been introduced to one another by Wagner James Au. So once again I felt a connection with the content and the presenter. View more presentations from gueste76e9a. David was pointing out that the Long Tail of digital distribution is still influenced by the market demands and that the gate keepers and ing makers are still able to make a hit a hit in a sea of content. He also talked about how an eco system without a gatekeeper or trusted source will be flawed. David was also very clear that just having exceptional quality will not make a game or experience a mass market success. This is of course a common problem. People assume that great things will happen because they should, either by effort or quality of idea. This was really a rallying call to sensible and engaging marketing, even as a small startup you have to make friends and enagage. It was also bang on the money that many of the elements of the current games industry are completely missing enablers for Long Tail at all. Whilst some games are engaging with ratings and UGC, shared experiences etc the consoles are not really built to deal with it. They are all aiming to get there, PS3 Home, XBox NXE are trying. Unity3d, Flash and Torque also got a mention aswell as iphone for indie developers to just get on with it. Day 2 kicked off with a change of pace and some new delegates, as this was now the main part of Develop not Evolve. David Jones is somewhat of a legend and he admitted he seldom did conferences. (Though to be fair he has rather a good new development to plug so it really did make sense). He has been the driving force behind some of the best and my favourite games of all time. So I switched very much into Fan Boi mode for his pitch. Lemmings, Grand Theft Auto and Crackdown. Anyone one of them would be enough for a wow! you did that! but all 3 is fantastic. He explained a little about his history (being of my age this all made sense) ZX 81’s etc. He said that he liked to build games that made people laugh as some point too. It was good to hear this history, but even more exciting to hear about where he is taking APB his new game. For me the things that stood out. The avatar customization was tremendously powerful, Dave indicated the problems of needing to be able to distribute customizations in a MMO environment but that they had to compete with the likes of Forza2. The game is based around celebrity to. 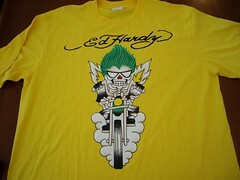 It is actively designed to let you become famous in game for various things. I loved the trailer video because it also featured the brilliant Imelda May in the soundtrack. The game is PvP multiplayer but introduces some new dynamics. I liked the concept that if 2 people were getting away with murder too much then new players would be introduced to the mix such as 10 police to counteract. All the players of the game are people, players are the content. There are NPC’s as scenery of course. 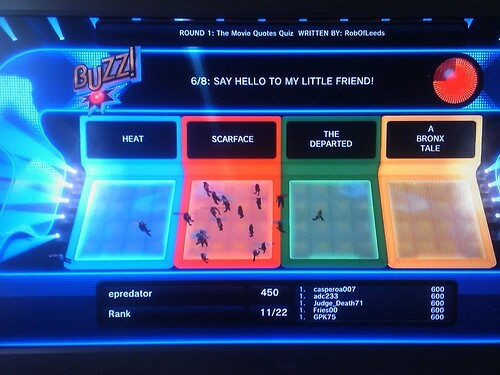 Another thing that got a round of applause was a little music composition gadget in game. It lets you build a tune/jingle in an old school 8 bit tracker way and then use that to attach it events in world, like someone else’s death. So not only have you taken them out, but you play your theme over them. That can be a funeral march or (as demonstrated) a crazy clown like mario style jingle. 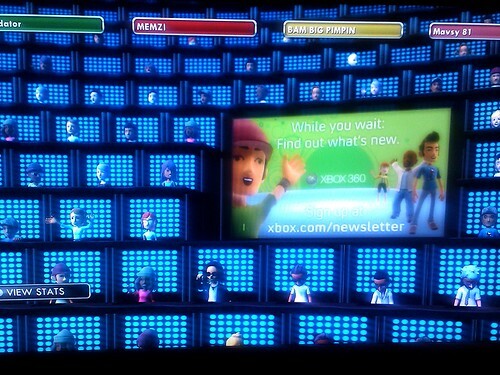 The player customization was also demonstrated by the video of the Obama they made, brilliant and exciting stuff indeed. Buzzed indeed! and a true gaming legend presenting the idea. This session was Peter saying how Home was getting on and where it was going. It was interesting to see Peter pitch as I had seen him at VWFE a few years ago, when I was on a separate panel on enterprise virtual world use. So Home has grown considerably. 7 million downloads, 3 million in europe and 6 million virtual goods bought (include free buy) in europe alone. Peter showed some of the advances in using Home as a development platform to make interactive games and experiences to support other brands and properties. If you are a registered Playstation developer you have access to the HDK (Home dev kit) though it is a pity we don’t all have access to that in order to explore ideas with the LUA scripting. Whilst I accept they are gating the content and approving it. Peter also was asked about the problems of the US content being much richer than Europe. There appears to be some underlying politics, but also a genuine element of needing to localize for multiple languages (which the US seldom needs to do). I was intrigued by the comment that the ability to place your own content in you own apartment ( a feature I like in the closed beta) was available in the US but not in Europe for legal and moderation reasons. That is more than a little irritating. It was great to see some of the positive things happening, the promotions of watchmen and star trek in world, and the EA Sports hub mini games and poker. All good stuff that may take Home past a lobby. 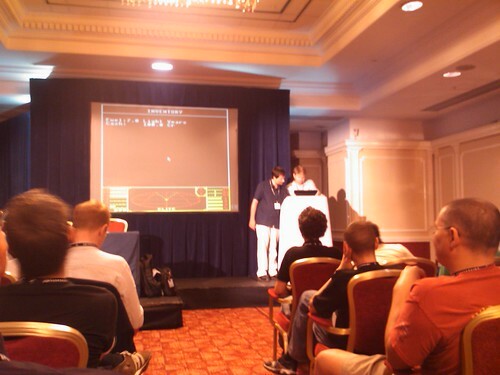 As if it was not enough to have the creator of GTA sharing his thoughts and new stuff earlier this session brought in David Braben the co creator of Elite. Elite was one of the games that I suddenly realized back in the 80’s that there really was so much more to games than a timed 10p a go shot now we had home computers. Trading, exploration, dog fights, levelling up in space. Elite is an influence on my thoughts and formative years that really cannot be ignored. This session was also introduce by William Latham! So it could not get more gamerati. The two guys talked about their seminal games whilst the other played them on the screen. 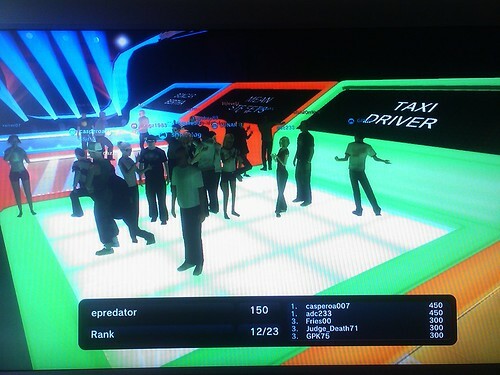 So Elite running on a BBC emulator and GTA actually running on Vista. Braben had some very cool insights into the 18 month process of building elite, being keen to get it out, but the publisher wanting to hold off until after the summer. Stats like it actually sold more copies that there were BBC micro machines as people bought copies to play on their school computer club machines. Procedural generation of the massive star system managing to fit the entire game into 40-50Kb as Braben pointed out the same size as a normal email these days. Watching Jones play Elite on the emulator was funny and as most of the audience had played it (and GTA) there was a common understanding of what had happened as a pirate zeroed in on him only seeing the scanner blip then a debris of his own ship. In GTA Braben started chasing the odd pedestrian and chased one around and around which got a giggle. It was interesting to hear the dichotomy that Elite was 3d in a world that only knew 2d at the time so got criticized for that and GTA was top down 2d in a world gone 3d and also got criticized, yet they are 2 of the most influential games in my gaming history. This was a great session to have been a part of and I hope it got filmed (though I guess you had to be there). Alex Amsel, Jamie Campbell, Adam Russel and Chair Margaret Robertson provided an insight into a creative networking experience called Crossover Labs. The point of the session was to remind people in the games industry the need to engage with other industries (in this case mostly TV and film) to understand one another’s thoughts and processes, but also to get the sort of seeds of ideas that come about when separate industries combine. I was impressed by the passion that the panel had for the experience. As I was there to cross over with this part of the industry it all resonated. Equally the techniques used and the mashing of people together is pretty much what caused the virtual world industry to blossom. I asked the question if the process used had been adjusted and exercised in virtual worlds and online in order to extend it. That led to a long discussion afterwards. It is well documented that we use elements of the virtual world to aid in communication and sharing of ideas and opening peoples minds to new thoughts. So watch this space I think. This was another rock and roll moment. This brilliant presentation had the co-founders of Media Molecule explain the though processes and creative hurdles that faced them trying to get to the absolutely brilliant Little Big Planet on PS3. Once you play LBP you can look at what they have day and see that it fits and in some ways you may say “oh thats obvious” but like all brilliant design you almost don’t notice it. They explained that once they came up with the notion of Hand Made the rest followed from there. It was also interesting to see the team dynamic. It looked as if Mark was the more edgy and Kareem the more grounding. It reminded me of Liam and Noel in Oasis. They even alluded to where they had the odd massive falling out over some of the ideas. One telling anecdote was Mark creating the spongeworld previz video. Showing a character interact in teh 2d/3d way with the physics. That worked so well that some of the publishing execs only wanted spongeworld to be developed. So too good a previz can lock peoples ideas too early. The decisions to end up with menus and icons when they had wanted to keep them out was based on trying to use the in world tools and it getting too much hassle, so as Mark said windows and icons were tried and tested so they gave in. Kareem pointed out that the designers came up with a felt pen look which blended so well with the handmade feel. They covered the strange and fantastic results of a User Generated Content environment. Users of the system creating things that the team did not think were possible. That seemed to be a real buzz for them. There was also some discussion about the recent new hire they had in their small team of 30, based on some fantastic work by a fan. 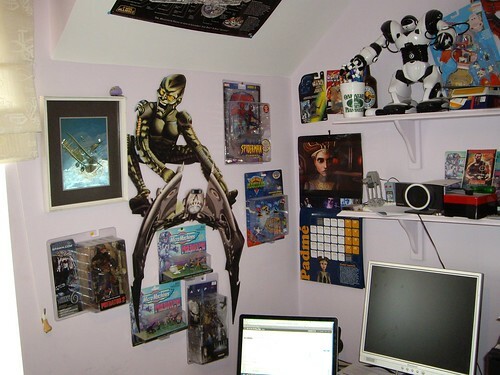 His attention to detail and creative thought showcased through his levels. LBP is particularly amazing in our house as my daughter is a fan and is able to enjoy building and playing levels as much as my peers. The fact that my good friend and long time gamer Mike (who runs MIST Susuki) and I played at the same time as my daughter for several hours and no-one got bored. That was amazing. So that was it, I had been in the presence of some huge figures that have influence my life and now my kids. It is also an industry that was the reason I started programming because of (back in the 80’s) but somehow fell into corporate enterprise. My journey via the web, virtual worlds and social media and now an entrepreneurial life has led me back. So look out 🙂 epredator is on the hunt. Over on the Neilsen blog is a great set of numbers showing that a survey of 25,000 internet users across 50 countries found that people tend to trust the recommendations of friends and online aquaintances much more than anything other interaction. This should not come as any great surprise, and presumably given these are internet users, bothering to respond to a survey they feel quite strongly about how they get to know about products and ideas and how they choose their path. This links with the discussion on New World Notes about trusting anonymous avatars. The split between knowing who someone is, versus respecting what they actually do online without needing to know their physical embodiment in any way. I am not going to retype my comment from that discussion, merely to indicate that trust and the effort put into the trust of others is as valid online as offline. The expression of that trust and the notion of understanding the signals we give off in a digital expression (I keep linking back to my Lie to Me post) I find very intriguing and something that become even more important to products, brands and business online given the graph at the start of this post. If you want people to buy your product, service etc. You need them to get to know you or your representatives in ways that is far more engaging, based on dialogue and trust. That aspirational glossy TV advert will become a very expensive low return item compared to the engagement of a real person with the customers. 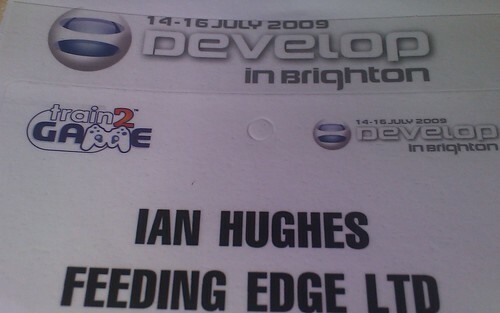 Yesterday I got my pass/ticket through to the Brighton Develop conference. I am attending the Evolve sessions on the first day, and then the first day of the develop track. I am excited about going to this as for the first time (probably ever) I am going to an industry conference but not as a speaker or booth person. This means the only obligation I have is to Feeding Edge and myself of soaking up the entire thing and getting to know yet more people in the industry. As I see the virtual world industry and the games industry as very much on a collision/merger course seeing who is doing what fits nicely on this companies mission. Update: It will of course mean I will miss the excellent Southampton based @tuesdaytweetup at Dock Gate 4 so hi to everyone remotely.